We know many of you have waited a long time for this… Animal Tales is now available for purchase! 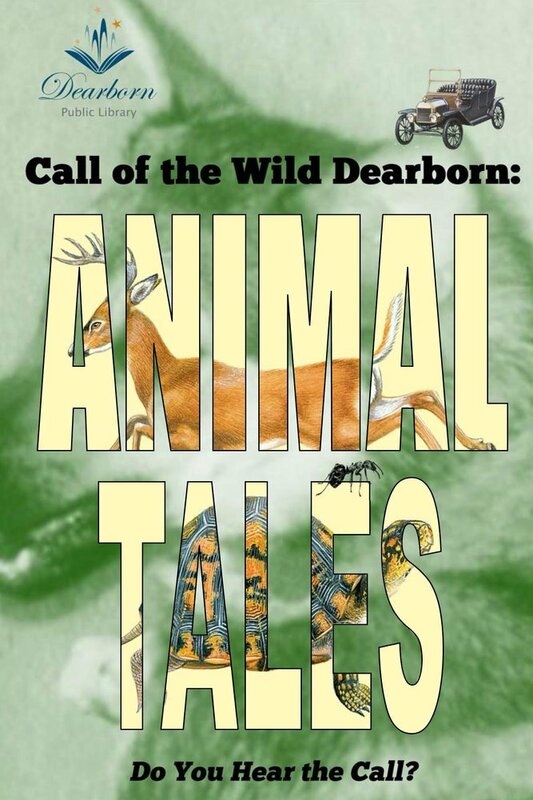 Take a walk on Dearborn’s wild side with this delightful (and thrilling!) community anthology featuring animal stories, poems, and essays written by over 100 authors of all ages. From humor to haiku, mystery to real-life rescue tales, there’s something here for everyone. Proceeds benefit Dearborn Public Library. The paperback book is ready and available for purchase on CreateSpace. To order a copy, simply create a CreateSpace customer account (which requires name and email address, including creating a password) – this way, you can order more copies whenever you want. CreateSpace will ask for a shipping address and for a method of payment, and they will mail out a newly printed copy of the book. CreateSpace is print-on-demand, so they only print as many copies as there is demand for. The book is also available to purchase through Amazon.com, but the library receives a larger percentage of sales when it is purchased through CreateSpace.